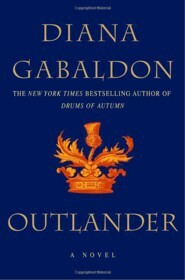 Outlander is a book in the Romance genre written by Diana Gabaldon. The book was published by Delta on 1998-08-10 and contains 656 pages. The book has an ISBN number of 978-0385319959. Our users found the overall impression of this book to be Depressing. I borrowed this novel from the library based on the numerous glowing reviews I had read around the internet. Having read through a good portion of this book I can say that that was one of the worst decisions I could have made. The story starts out good enough with interesting main characters and plot. Here is very brief summary: Nurse Claire and her husband Frank have a second honeymoon in Scotland. Claire travels 200 years into the past via a mysterious stone. She nurses a young soldier, Jamie, back to health. They take part in many adventures against pirate "Black Jack" who just happens to be Frank's ancestor. Claire and Jamie soon fall in love. Claire eventually finds a way to travel back to her regular time and must decide whether to return to her husband, in the present, or stay in the past with Jamie. The premise for the book was very good and it held my interest for the first several hundred pages. At this point Jamie beat Claire half to death and admitted to enjoying it. Additionally, Claire tried to justify the abuse by saying she "deserved" it and that she forgives him. I found this portion of the novel so degrading and repulsive that I immediately stopped reading it and returned it to the library. Don't be fooled by other reviews, this novel, and the scene I mentioned in particular, are sick. Avoid it like the plague.